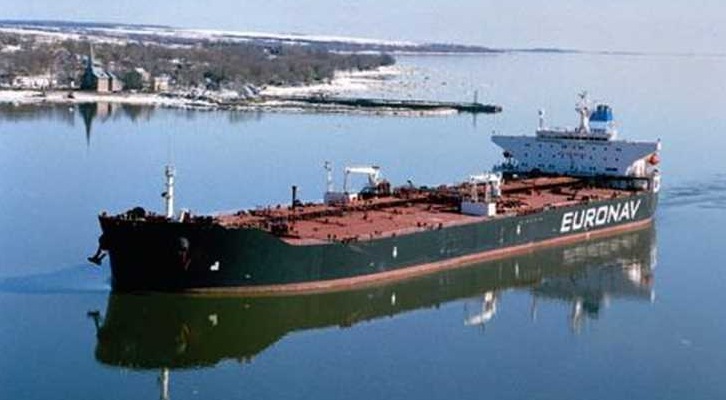 Euronav NV (NYSE: EURN & Euronext: EURN) (“Euronav” or the “Company”) announces that the Company has sold the Suezmax Cap Romuald (1998 – 146,640 dwt) for USD 10.6 million. The vessel was delivered to her new owners on 22 August. The Company will record a capital gain of approximately USD 9 million in the current quarter. The sale of the Cap Romuald is part of a fleet rejuvenation program. Together with the sale Euronav is taking in operation four new Suezmax vessels, of which three (Cap Pembroke, Cap Quebec and Cap Port Arthur) have already been delivered, with the remaining one due for delivery at the end of August. Those 4 vessels will all go under seven year time charter contracts with a leading global refinery player. Euronav is an independent tanker company engaged in the ocean transportation and storage of crude oil. The Company is headquartered in Antwerp, Belgium, and has offices throughout Europe and Asia. Euronav is listed on Euronext Brussels and on the NYSE under the symbol EURN. Euronav employs its fleet both on the spot and period market. VLCCs on the spot market are traded in the Tankers International pool of which Euronav is one of the major partners. Euronav’s owned and operated fleet consists of 2 ULCCs, 43 VLCCs, 26 Suezmaxes (one under construction), 2 LR1s and 2 FSO vessels (both owned in 50%-50% joint venture). The Company’s vessels mainly fly Belgian, Greek, French, Liberian and Marshall Island flags.